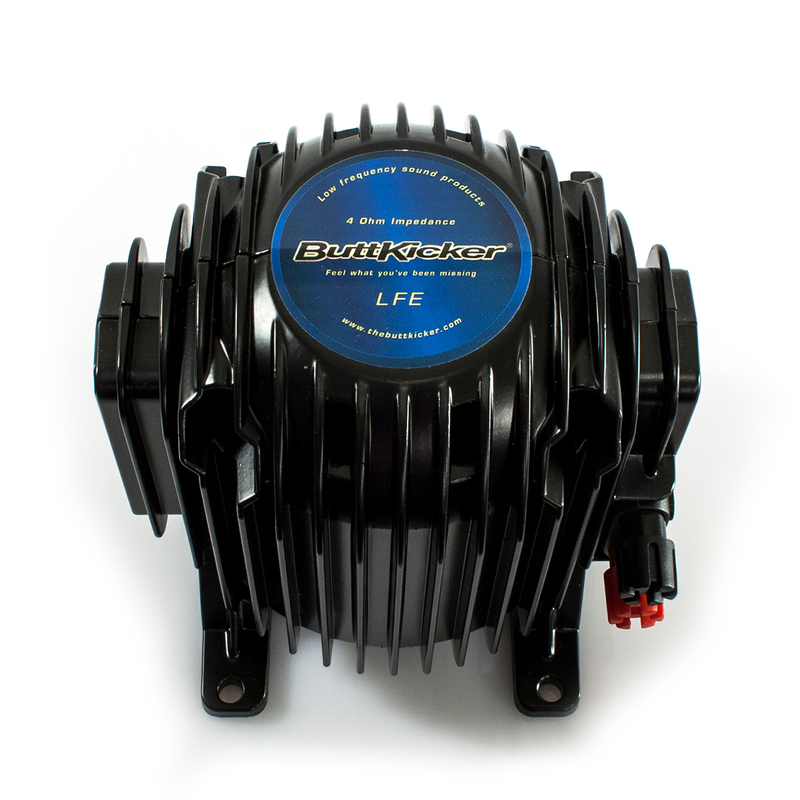 With the ButtKicker LFE Kit still out of stock we have put together a kit which includes the BK-LFE, BK-CMAK and Dayton Audio SA1000 Subwoofer Amplifier. 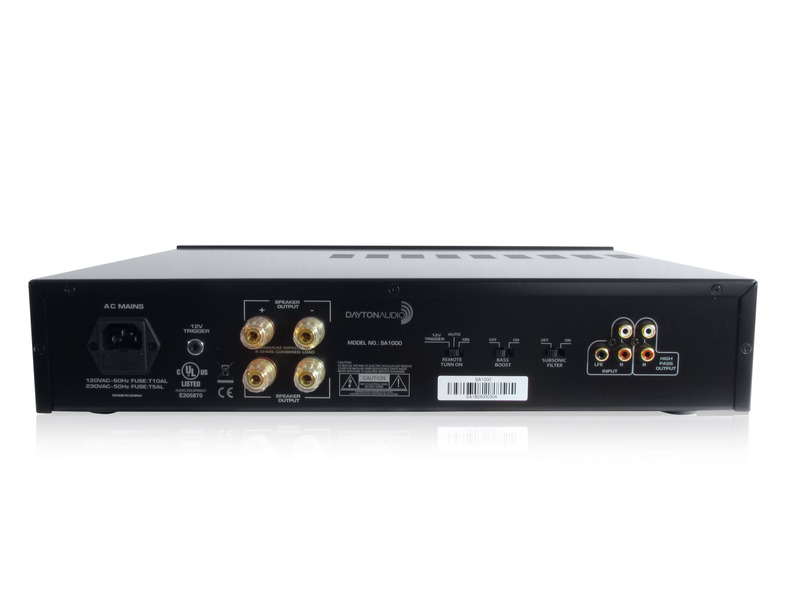 The Dayton Audio SA1000 is a freestanding, high-power subwoofer amplifier designed for the DIYer, installer, and systems integrator. 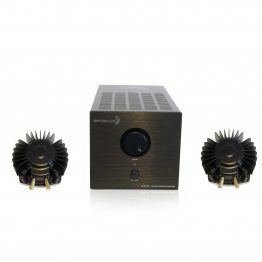 This unique monaural audio device delivers the raw power of a pro-sound amp, but with the features and flexibility of a dedicated subwoofer amplifier. It can be configured for stacking with other audio components, and includes removable ears for mounting in standard audio racks (2RU). The SA1000’s patented tracking down-converter power supply ensures headroom for instantaneous power needs and the amp stays cool, thanks to its high-efficiency design. A Class-AB amplifier configuration provides the SA1000 with clean and controlled output. From an application standpoint, the SA1000’s low frequency parametric EQ enables you to boost or cut to custom-tailor the sound to suit the listening environment. Sophisticated soft clip circuitry provides cleaner transient peaks while protecting your driver from over-excursion. 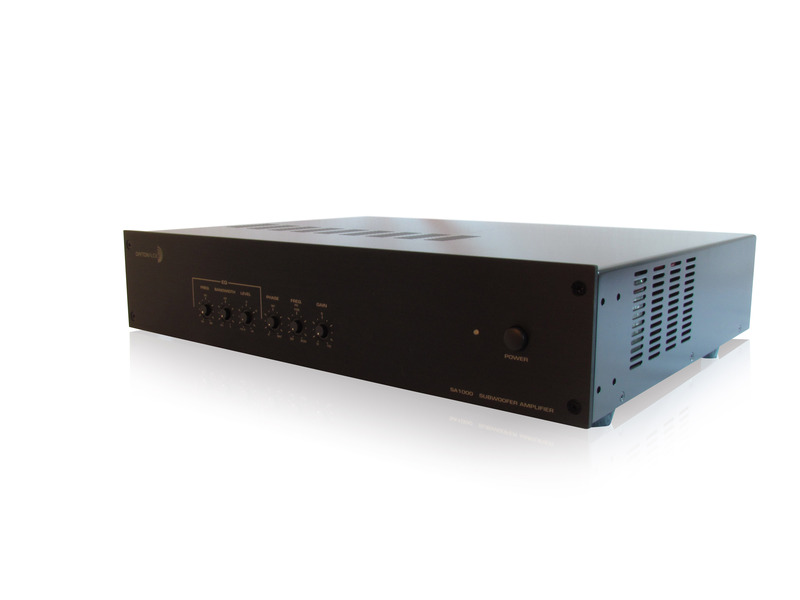 The amp’s switchable subsonic filter removes subsonic information from the signal, which tightens the low end response of some subwoofer systems. On-board bass boost filters enhance LF performance while leaving the parametric EQ function available to address room modes, like cutting an excessively loud room resonance. 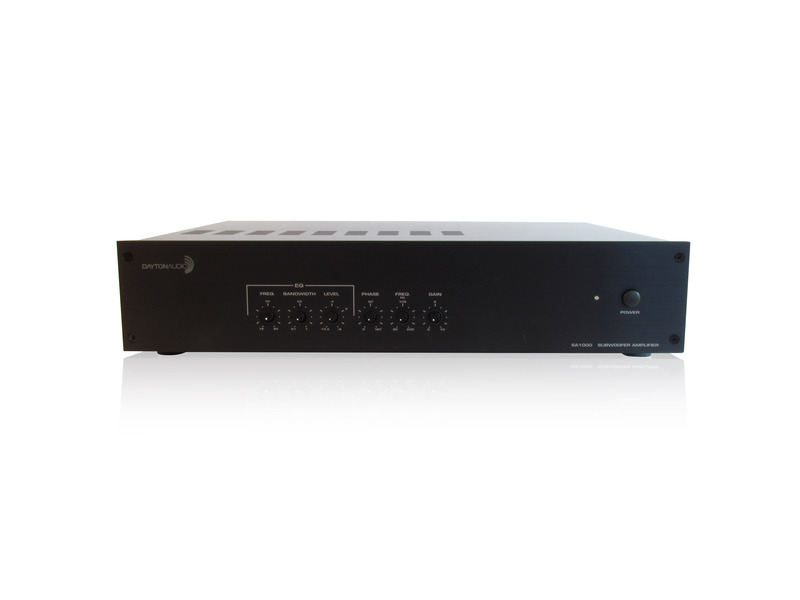 The high-pass outputs provide a user the option to feed the signal back into their other audio components or a distributed audio system. 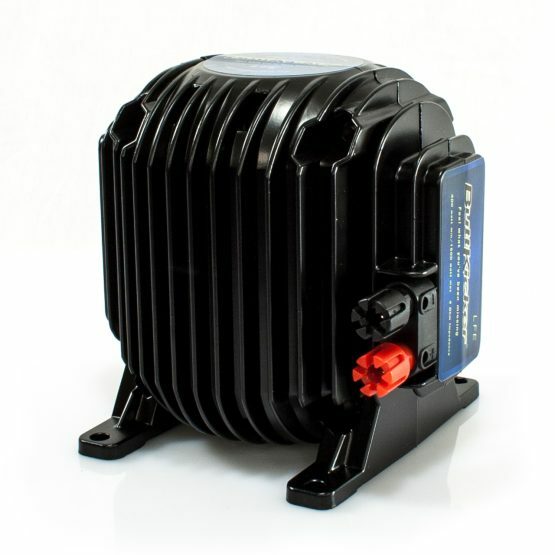 Manual, automatic on/off or triggered 12V input modes allow easy integration into automated systems. The stealthy pop-out knobs on the front panel make adjustments easy, while minimizing the risk of accidental disturbance. The SA1000’s subdued brushed black aluminum faceplate allows the amp to blend cosmetically with any type of audio gear. Accommodates RCA line-level inputs, includes insulated binding posts for the speaker outputs, and accepts a 12V trigger via a 3.5 mm mini-jack. 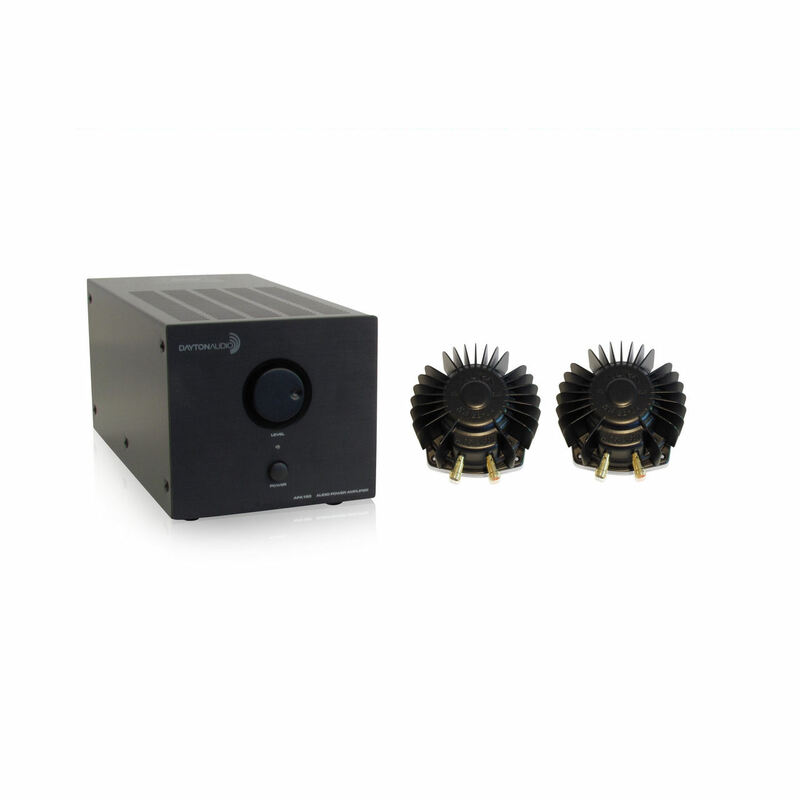 Specifications: • Rated power output (0.92% THD): 497 watts into 8 ohms, 950 watts into 4 ohms • Signal to noise ratio: 98 dB A-weighted • Efficiency: 86% • Input impedance: 12K ohms • Subsonic filter: -3 dB @ 18 Hz, Q=0.8 • Bass boost: +3 dB @ 25 Hz, Q=1.4 • High pass output: -3 dB @ 80 Hz, 12 dB/octave • Low pass adjustment: 30-200 Hz • Phase adjustment: 0°–180° • Parametric EQ frequency: 18–80 Hz • Bandwidth: 0.1–1.0 Q • Level: -14.5 dB to +6 dB • Dimensions: 17-1/2″ W x 4″ H x 13″ D (tabletop configuration) • Power requirements: 120/230 VAC, 60/50 Hz • Stand-by power rating: 120V 24W; 230V 18.4W • Weight: 28 lbs. • Power rating based on one-third power duty cycle. Because it was designed for music, you can now have a full, concert hall audio experience without excessive volume. Now everyone can enjoy conversations while watching movies. And, because the low end is effectively isolated to a chair, or a couch, or a suspended wood floor, there is much greater control of sound pressure throughout the entire house. Combined, these attributes make the ButtKicker extremely spouse and neighbor friendly. It virtually eliminates low end sound “bleeding” into adjoining rooms or connected housing. The ButtKicker allows you to feel the low end without making the room loud. You can decrease the sound pressure level from the subwoofer, and still feel all the low end you want. 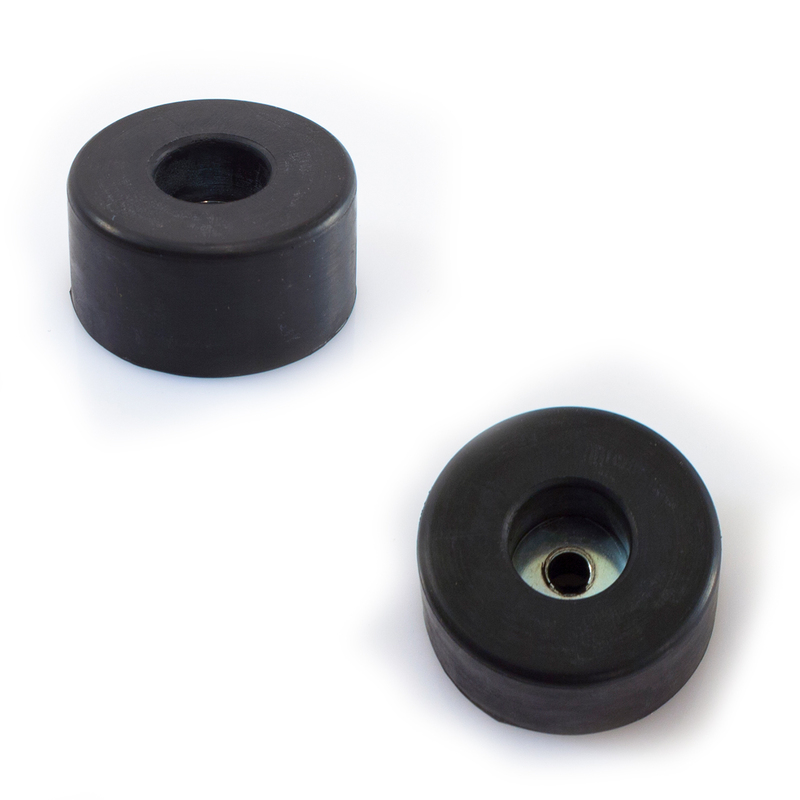 One ButtKicker can easily replace 3, 4, 5 or even 6 voice coil shakers. Designed by musicians and studio engineers, the ButtKicker is musically accurate, with a tight, “on-the-beat” transient response and is used by some of the most demanding musicians in the world. Now only 5.375″ tall and 5.5″ wide the ButtKicker can satisfy more critical space limitations and fit within a 2″ x 6″ joist. With only one magnetically suspended moving part, and a thermal switch for heat protection, the ButtKicker is the last shaker you’ll ever need to buy. 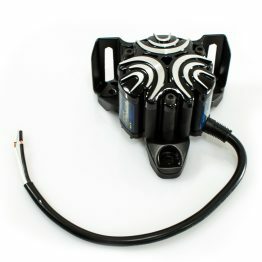 The ButtKicker uses a patented magnetically suspended piston system, unlike anything else on the market. 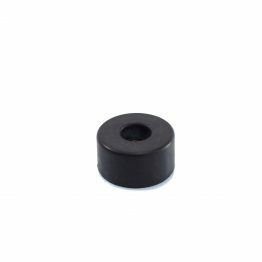 It provides tremendous power, musical accuracy, frequency response and longevity. 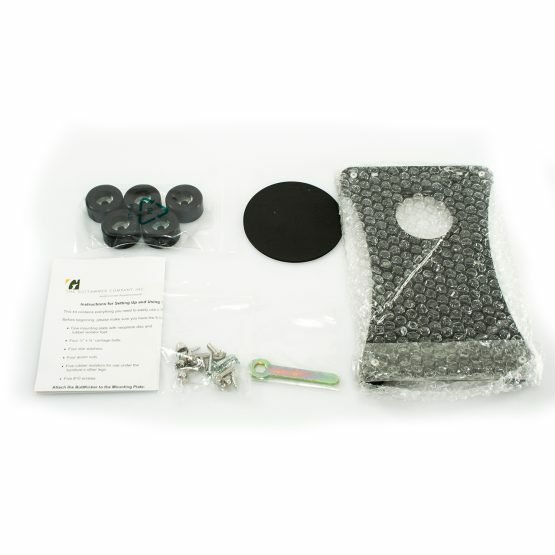 Designed specifically for the ButtKicker LFE, the ButtKicker Couch/Chair Mounting Accessory Kit is the perfect complement to your home-theater system. 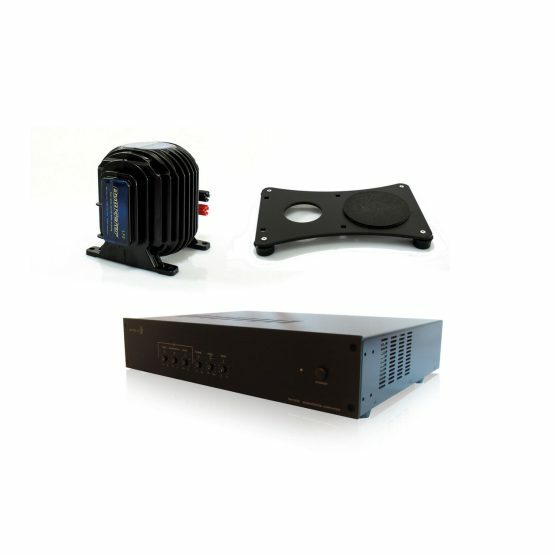 This easy-to-use kit simplifies installation of your ButtKicker LFE low-frequency effects unit so that it can be placed simply and securely on whatever furniture you are going to be using while enjoying your entertainment center. The ButtKicker Couch/Chair Mounting Accessory Kit has a solid mounting plate, on half of which you screw the ButtKicker LFE. 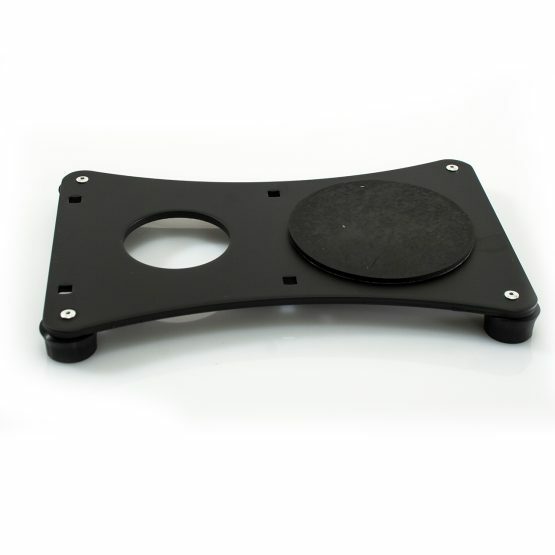 This plate sits on rubber isolators to keep the unit from transferring low-frequency vibrations into the floor, while the second half of the plate attaches to the leg on the back of your couch, chair, or other piece of furniture. 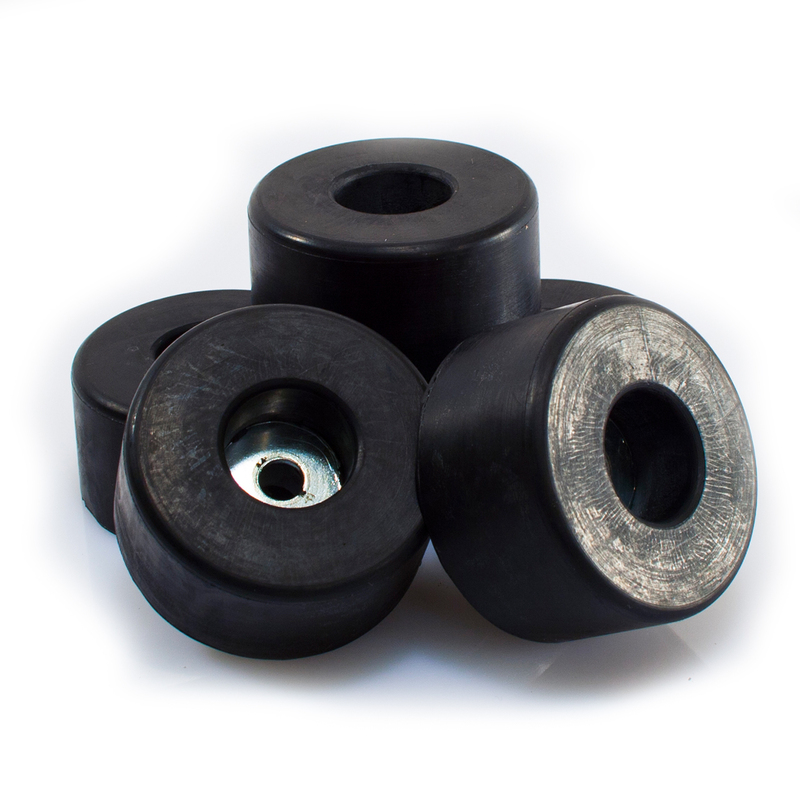 Five additional rubber isolators are included in the kit, to be mounted on the other legs thereby drastically improving the performance of your ButtKicker LFE by further reducing vibration transmission to your floor. This Mounting Kit comes with all the necessary mounting hardware, and a handy wrench made to fit the purpose. 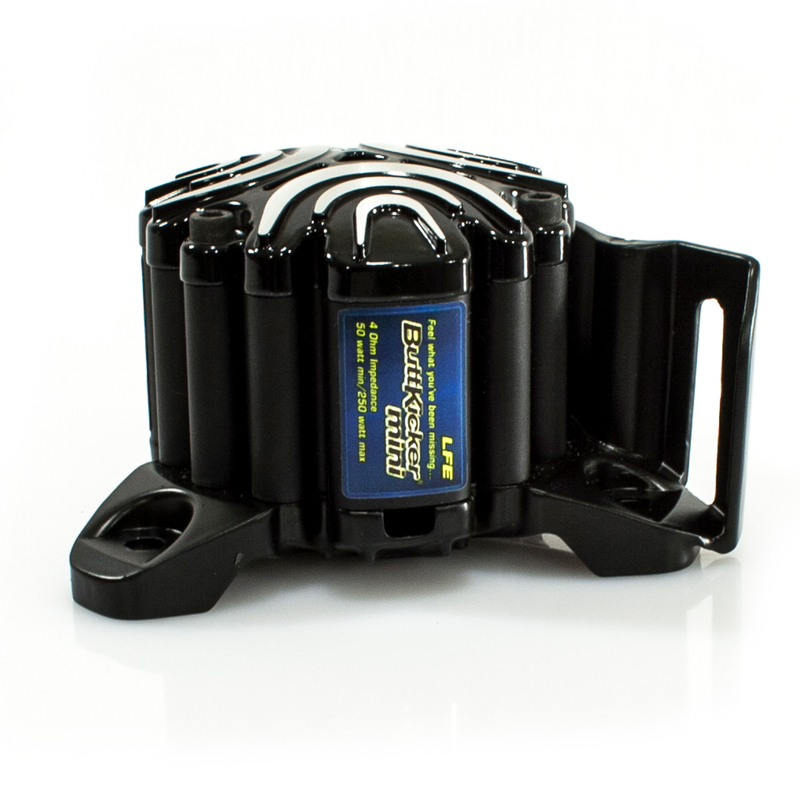 Allows ButtKicker LFE to be placed simply and securely on whatever furniture you are going to be using. *Wiring and other connectors are not included. Speaker wire and connectors will be required to complete installation.